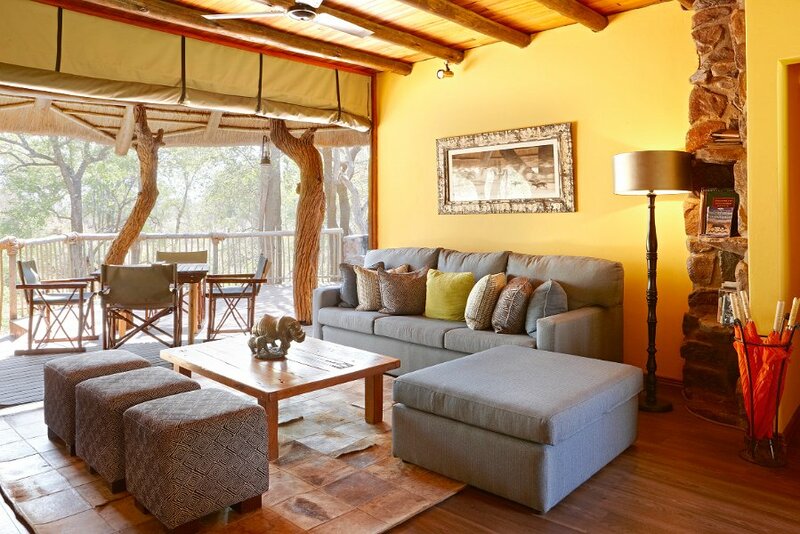 Jaci's Safari Lodge lies midway along Madikwe Game Reserve’s eastern border under a canopy of Tamboti trees on the edge of the Groot Marico River. 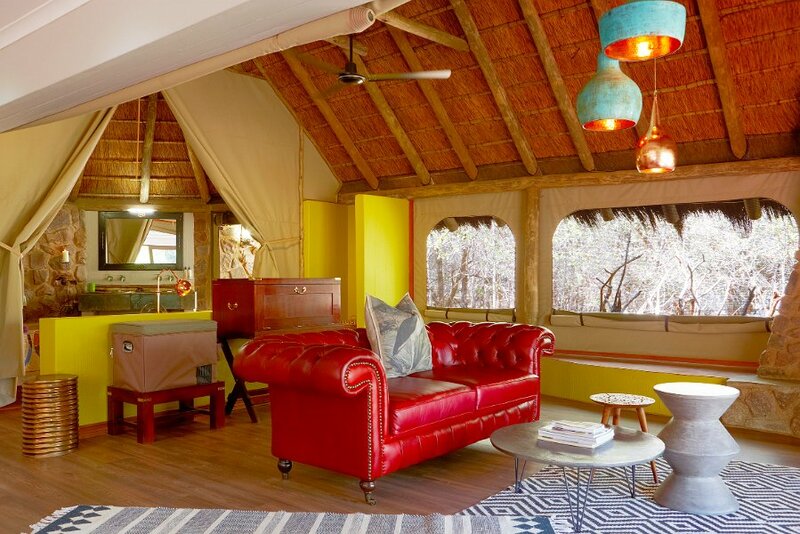 This extraordinary family-friendly Lodge is the vision of Jan and Jaci and is sure to delight visitors with its novel décor, vivid colours and African textures, and fascinating collection of curios. 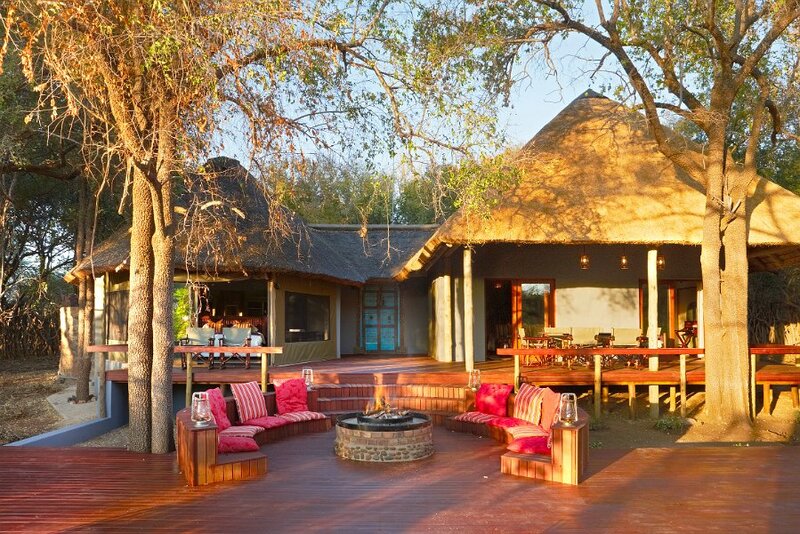 Designed to be the heartbeat of Jaci’s Safari Lodge, the main complex encompasses an ancient termite mound. It is currently undergoing a major refurbishment, and the upgraded hub will feature a refined lounge, inviting copper fireplace, loft bar, open-plan kitchen, indoor and outdoor dining areas, all reminiscent of the Lodge’s hospitality. 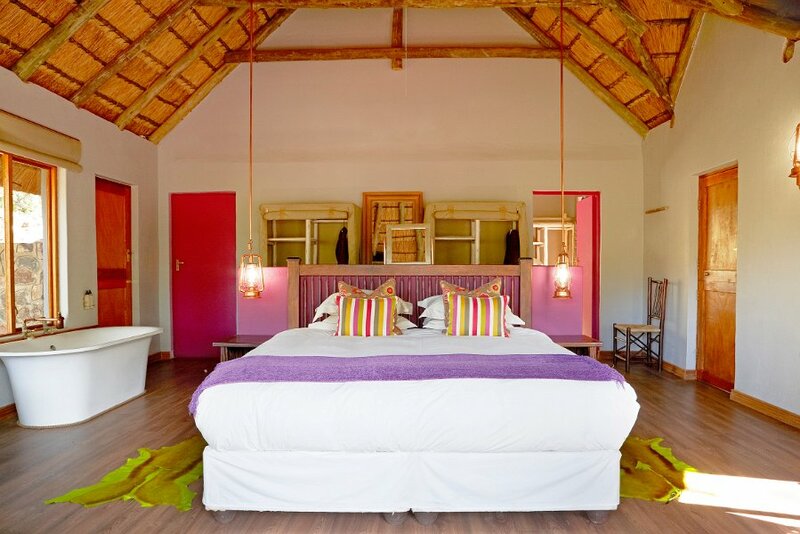 Jaci’s Safari Lodge offers visitors several accommodation options inspired by the breathtaking natural surroundings: six spacious safari-style Tented Suites, two Starbed Suites, and two exclusive Family Suites, namely the Safari Suite and Nare Suite. 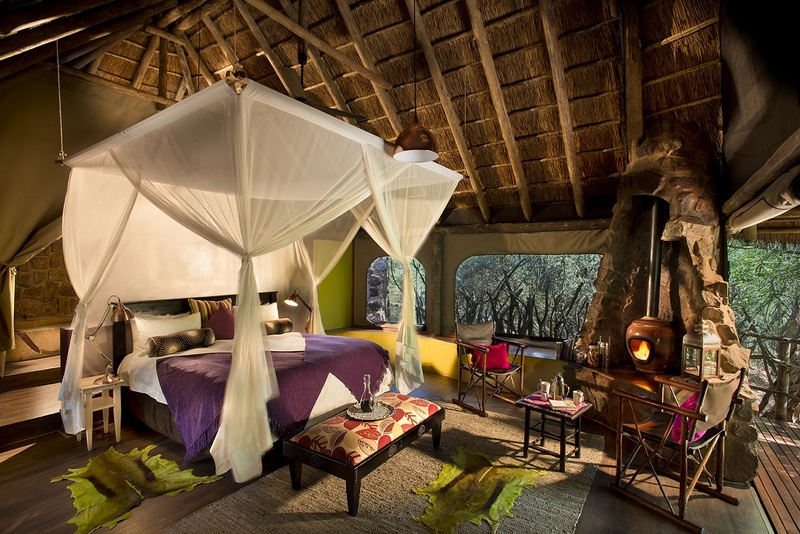 With shaggy thatched roofs, low stone walls, roll-up canvas panels, and large tent windows, a stay in the classic double-sleeper tented suites guarantees makes for a truly authentic African safari experience. Each of the Tented Suites features an oversized mosaic bath, outdoor shower, and suspended viewing deck as well as air conditioning and a ceiling fan. What’s more, stretcher beds can be set up on request for families with young children. 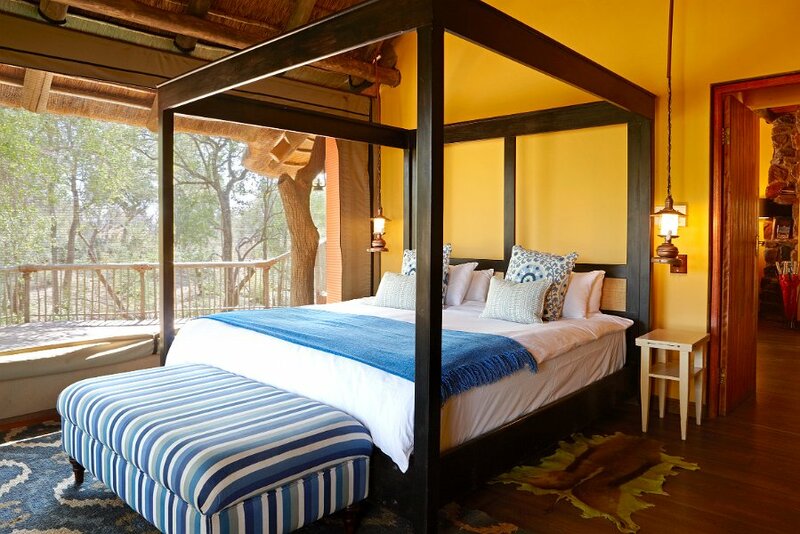 The two recently constructed Starbed Suites capture the very essence of a romantic bushveld getaway. Built over two levels these exquisitely finished suites are perfect for honeymooners and offer visitors a choice of two sleeping areas, one in the main suite and a custom “Starbed” on the rooftop extension. Each suite boasts two king-sized beds, intimate lounge area with comfortable leather couch, writing desk, personal bar, two indoor bathrooms, an outdoor shower, generous viewing deck plus underfloor heating, air-conditioning, and a ceiling fan. 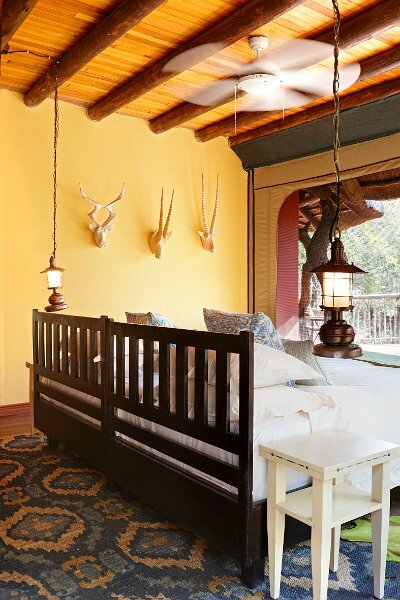 Jaci’s Safari Suite can accommodate up to eight guests (four adults and four children), making it the ideal bushveld retreat for larger families or groups. 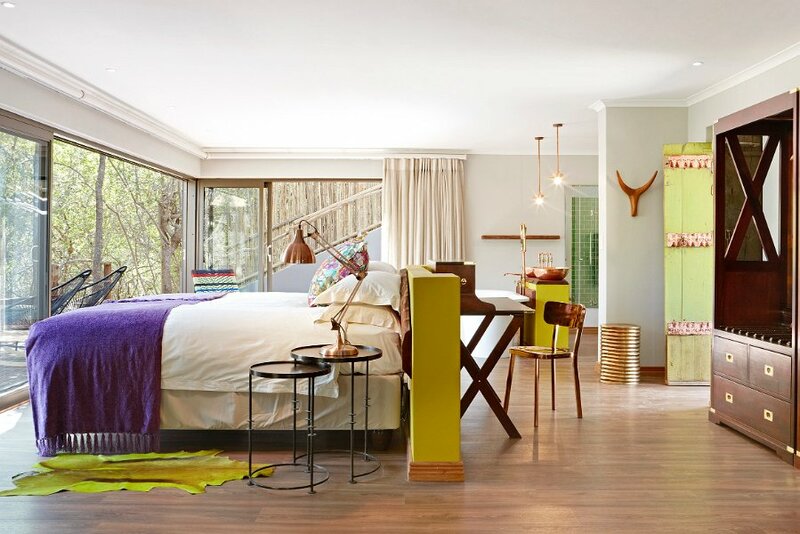 This splendid Suite features a master bedroom, with a king-sized bed, and adjoining twin-bed children’s room which share an outdoor shower and open-plan bathroom. Across the hall is a lounge with adjoining guest room and an upstairs loft bedroom with two single beds which again share bathroom facilities. The main hub of the Safari Suite has a cosy lounge, kitchenette, bar, underfloor heating, air-conditioner, and ceiling fan. The focal point of this Suite is the custom-built deck with its central firepit and circular seating area leading out to a “starpod”/daybed,” and enticing swimming pool. 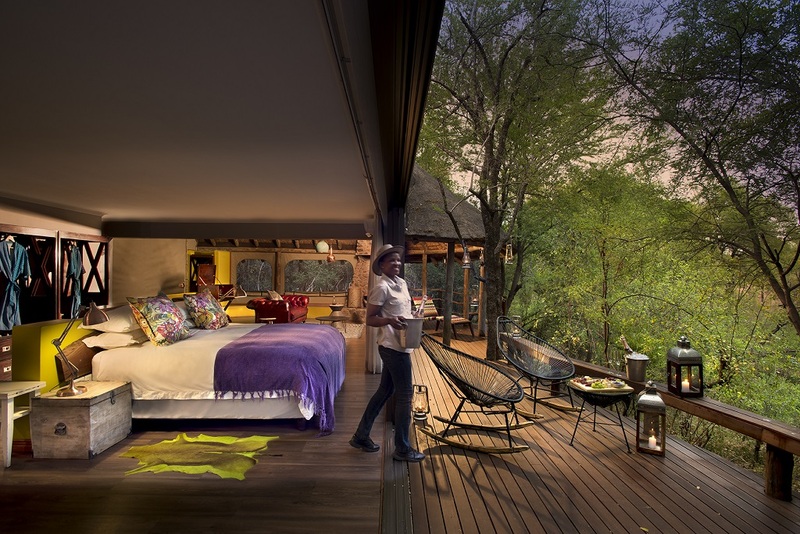 Jaci’s Nare Suite is named for the resident buffalo bull that frequents the waterhole which lies just below the Suite’s viewing deck. This superb Suite can accommodate up to six visitors (four adults and two children) making it perfect for smaller families or group breakaways. 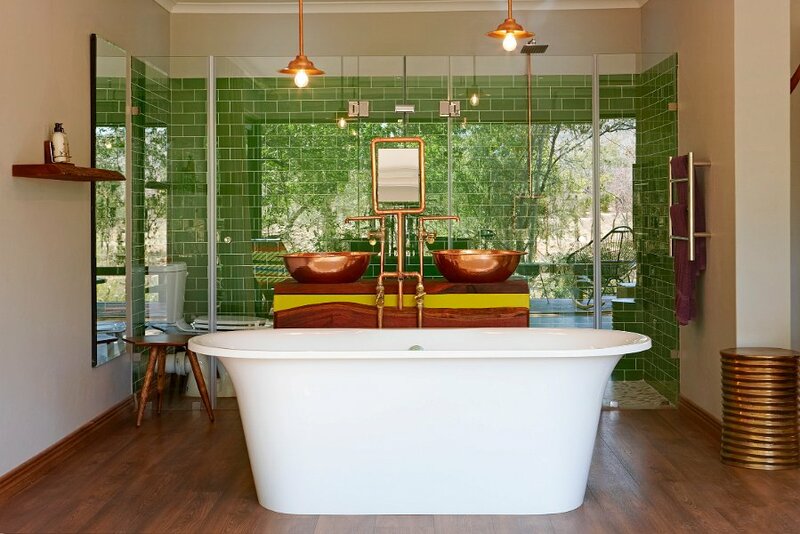 The Nare Suite has a master bedroom, with a king-sized bed, and twin-sleeper guest bedroom, each with a luxurious en-suite bathroom, outdoor shower, and an upstairs loft with two single beds, toilet, and hand basin. The common area of the Nare Suite offers a lounge, kitchenette, bar, underfloor heating, air-conditioner, and ceiling fan. The ample deck features an outdoor dining area, “starpod”/daybed and plunge pool. 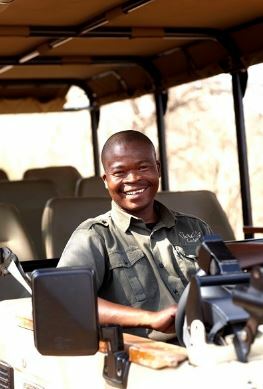 Also, visitors booked into the Nare, and Safari Suites have a dedicated game spotting vehicle and rangers at their disposal for the duration of their stay. 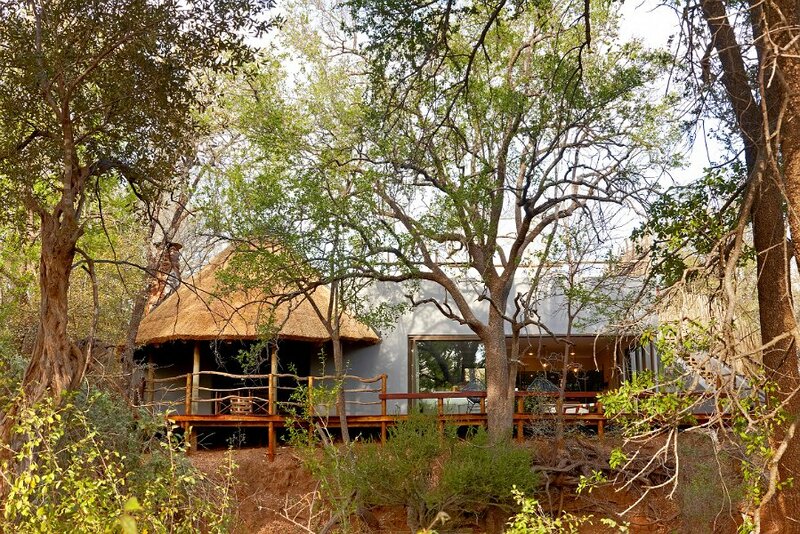 Jaci’s Safari Lodge makes providing visitors with plentiful opportunities to discover the wonders of Madikwe Game Reserve a priority. Activities include sunset/sunrise game drives, night drives which focus on astronomy, and nature trails accompanied by the Lodge’s qualified rangers. For children four years and younger, the Lodge’s informative &quot;jungle drive&quot; is sure to prove popular. Visitors can also enjoy 24-hour access to the submerged Terrapin Hide, which gives you the chance to get up close and personal with the resident fauna and flora. Ardent wildlife enthusiasts will no doubt be clamouring to join one of Jaci’s specialised Birding, Photographic, and Conservation Safaris, each hosted by professionals renowned for their expertise. There is even photographic gear available for daily rental. 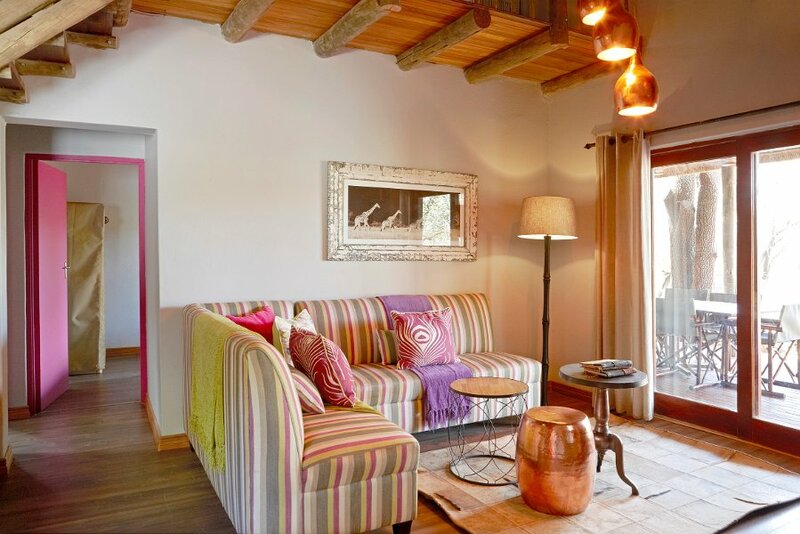 When it comes time to unwind, you can soak up the warm African sun poolside or retire to the peace of hammock on the bank of the Groot Marico River. Early risers might be privileged enough to experience the morning call of the resident Francolins or glimpse of Bush Babies returning to roost in the adjacent Tamboti trees. If you need a little extra help relaxing, why not treat yourself to a massage at the Masala Spa. Alternatively get the pulse racing the Lodge’s small on-site gym from where you can enjoy uninterrupted of this magnificent bushveld haven. There is a play area adjacent to the gym where the children have fun while you work out as well as a games room. Childminders are also available at an additional cost. Come mealtimes, the wholesome and mouthwatering cuisine, freshly prepared by Jaci's dedicated chefs from seasonal produce and meats, is will be a treat for your palate. Being family-friendly, Jaci&#39;s chefs also cater to children with favourites like spaghetti bolognaise, hot dogs, chips, home-made hamburgers, vegetables, and salads. Brunch and high tea are served in the main lounge. 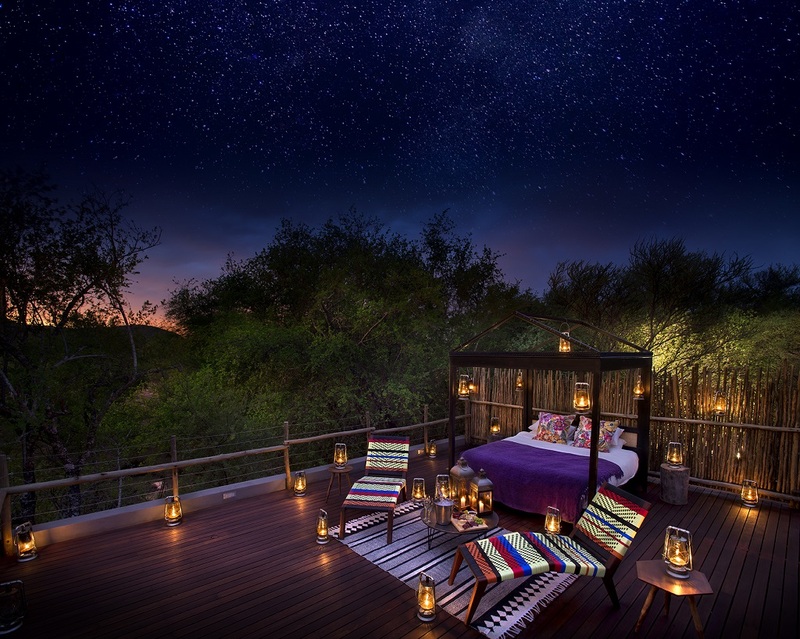 And because Jaci’s like to encourage starlit dining as often as possible, evening meals are served fireside in the Lodge’s Boma, weather permitting. Should you be looking for an unforgettable wedding venue in the heart of the bushveld, you can rest assured Jaci&#39;s experienced staff will go above and beyond to ensure your nuptial celebrations are as incredible as you imagined. All rooms are equipped with underfloor heating to ensure that you arecomfortable during the chilly winter months, and air conditioning and a ceiling fan to keep you cool during sunburnt summer days. 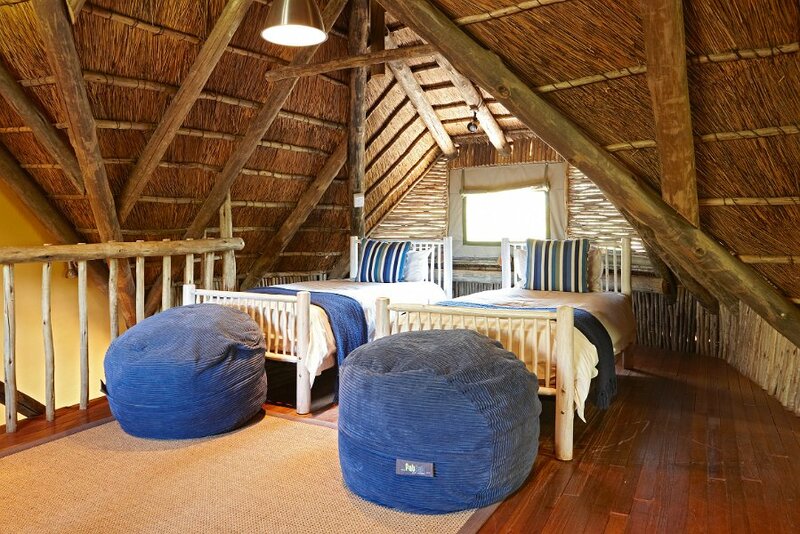 With thatch roofs, low stone walls and canvas panels that roll up, the spacious rooms really let the outside in, making for a unique African safari experience from the comfort of your bed. 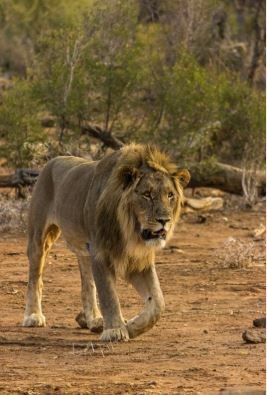 With the breathtaking vistas of Madikwe Game Reserve as the backdrop and a diverse variety of wildlife as the subject matter, Jaci’s Lodges’ complete photographic offering caters to all guests, whether amateurs or professionals, who want to capture once-in-a-lifetime memories, rare and beautiful game sightings, emotive landscapes or those special often-overlooked details that the bush provides in abundance. Perfectly complementing the photographic offering at Jaci’s Lodges is the submerged Terrapin Hide. Accessible via an underwater tunnel, the popular hide is open 24/7 to all guests. For your convenience, our photographic equipment is also available to hire. 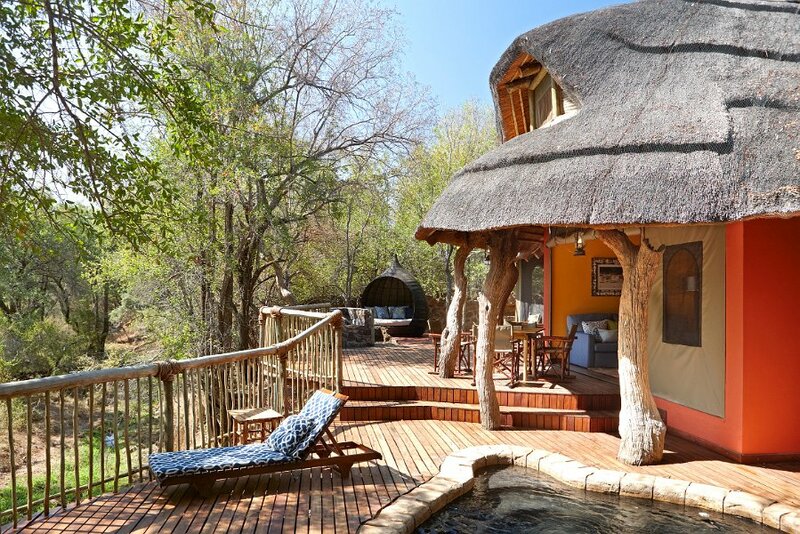 Whether you want to capture priceless images of wildlife from the centre of the waterhole or simply sit quietly, immersing yourself in your surroundings, the water-level Terrapin Hide at Jaci’s Lodges is proud to offer this unique vantage point. Our friends at Pangolin Photo Safaris assisted with the design and construction of the hide, ensuring its position and functionality for a truly unique game-viewing and photographic experience. The hide is visited by a wide variety of animals and birds, and, thanks to its unique location, you can sit quietly and watch them coming down to drink as if you weren’t even there. 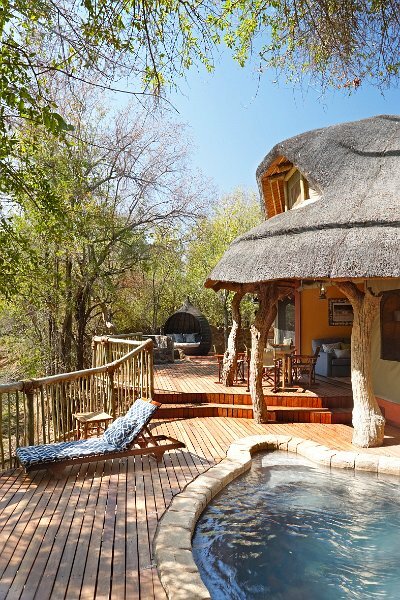 Jaci's is situated at an ideal spot overlooking an established and well used water hole, under a grove of Tamboti trees, on the edge of the Marico River. 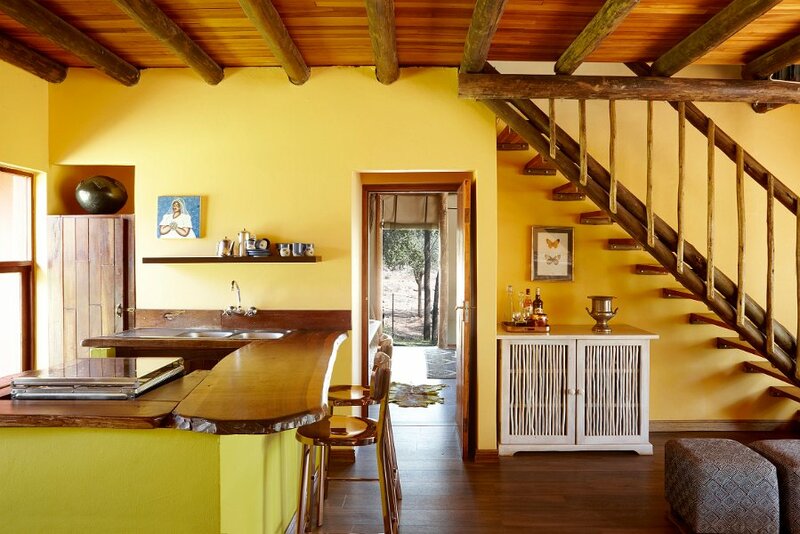 The main complex is different, open plan, curved around a huge anthill, under shady trees overlooking the water hole and on the banks of the Marico River.Meals come from an ultra modern kitchen, spotless, in full view of the dining area. 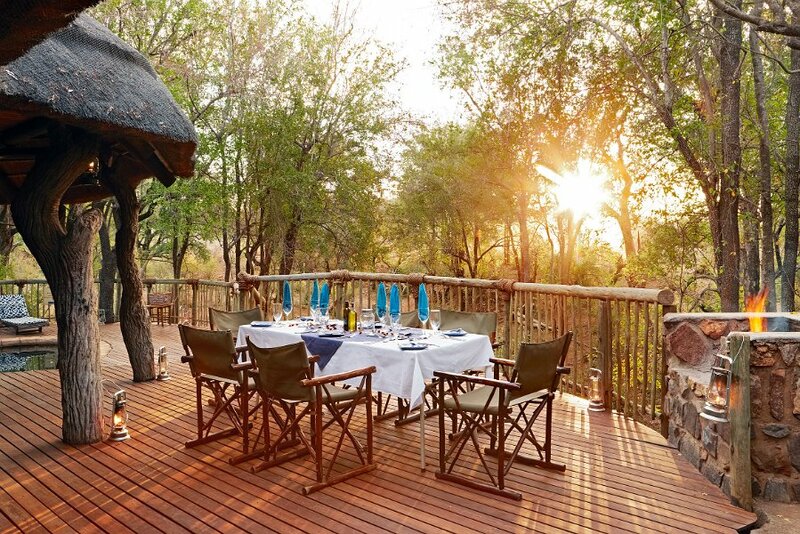 Dinners are eaten outside around the open fire in the boma under the stars, or out in the bush on a "braai", surrounded by nature. Upstairs there is a quiet reading space. There is also a well-stocked ethnic craft shop. Jaci's Safari Lodge now has a fully equipped gym situated between Jaci's Safari Lodge and Jaci's Tree lodge as well as a kiddies play area, overlooking the river. There are only eight double rooms and the exclusive Nare Suite in this "must see", malaria free destination. 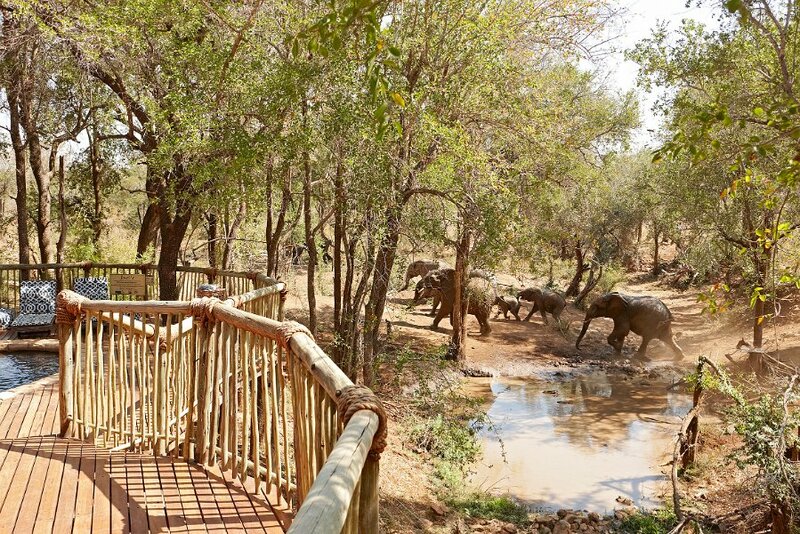 Each one faces out over a dry river-bed which acts as a walkway for game on its way to and from the water hole. 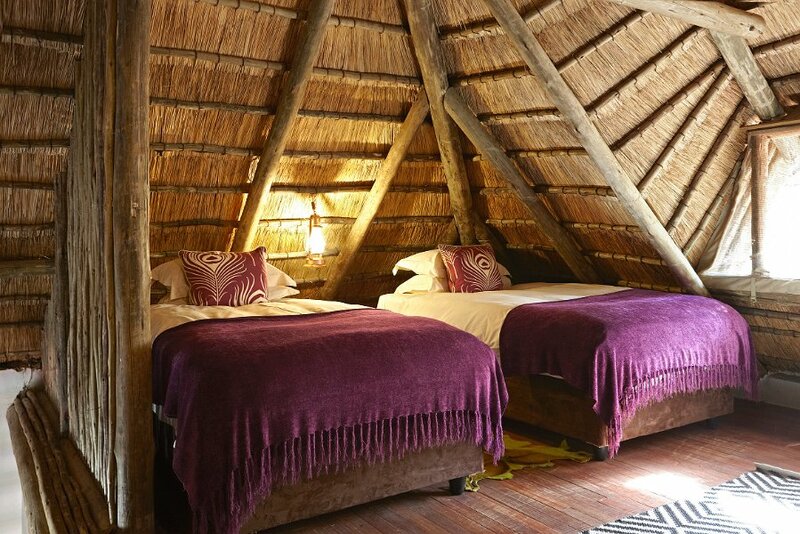 They each have a "tented" interior, walls of local stone and a cool thatch roof, for giving that special African bush feeling. 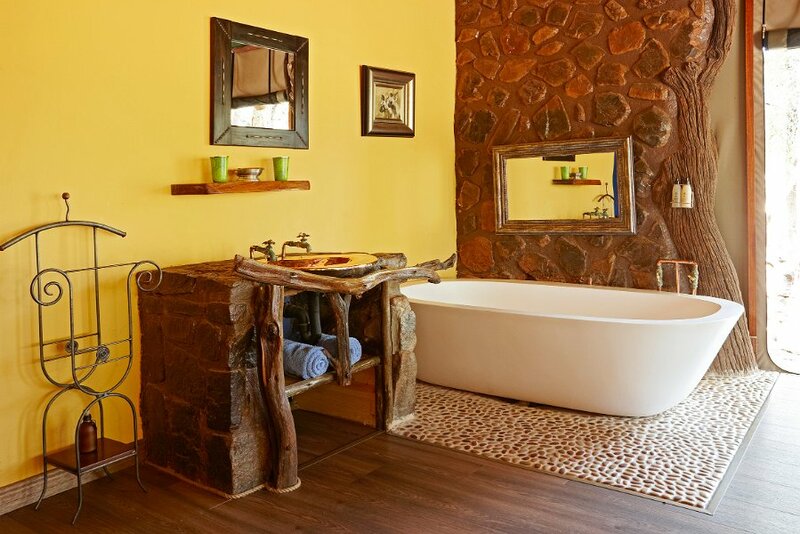 A charming built in, en-suite hand-made rock bath with an outdoor "safari" shower, and fans to keep a gentle breeze flowing. 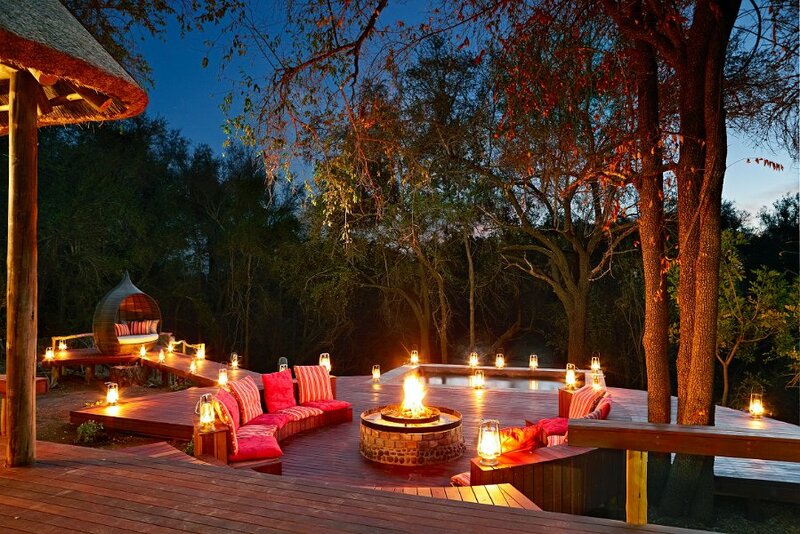 Between the early morning and evening game drives and walks, there is a cool swimming pool overlooking the river. 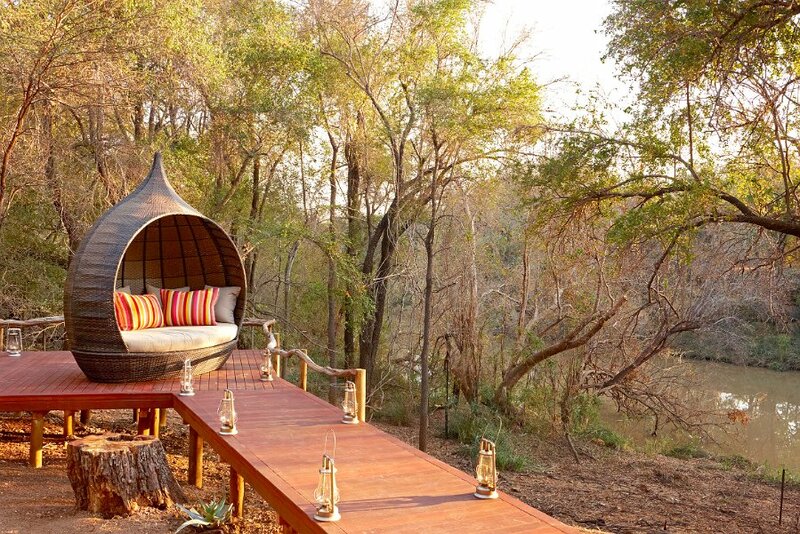 Lie in a hammock, sip an ice-cold drink, watch the birds, the butterflies and beasts, relax, unwind. The day, the place, the ambiance are yours, in peace. 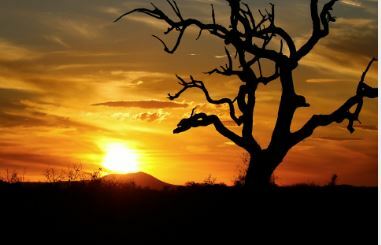 The 75 000-hectare Malaria-free Madikwe Game Reserve lies in the extreme North-West corner of South Africa’s North West province. Daily flights are available on Federal Airways & we can arrange a private road transfer, a charter flight upon request at additional costs. ***NOTE*** Due to sporadic & unforeseen road closures, we recommend self-drive guests & road travellers confirm their intended driving route on their day of arrival & check local road conditions before their departure / arrival. Please print and use the directions as they appear in this information sheet. Take this toll road - Left slip lane off the N1 North. Once on the N4, continue in the Rustenburg direction & take EXIT 225, which is the R556 / SUN CITY /MAJAKANENG offramp. Turn Right at the T-Junction onto a tar / sealed road that continues for about 10.4km & then becomes gravel / dirt. Continue Straight ahead. As of June 2018, there are currently roadworks from Dwarsberg towards Madikwe for 10kms. We expect these to be complete by the end of the year. From here the friendly gate staff will sign you in & can give you directions, or just follow the signs to JACI’S LODGES. They will let us know you are on your way to us. After passing through MABESKRAAL, approximately 45km, you will come to a 4 way stop. From Sandton, head North on the M1 TOWARDS PRETORIA. Keep following the N1 North, but look for EXIT 124, BRAKFONTEIN INTERCHANGE. Take Brakfontein interchange following signs for CENTURION / HATFIELD, staying on the N1. Once on the N4, continue in the Rustenburg direction & TAKE EXIT 225, WHICH IS THE R556 / SUN CITY /MAJAKANENG OFF-RAMP. Should guests require lunch on the day of arrival, please note that this will need to be pre-booked. Lunch is served between 13h00 – 14h00. Children of all ages are welcome at Jaci’s Nare Suite. 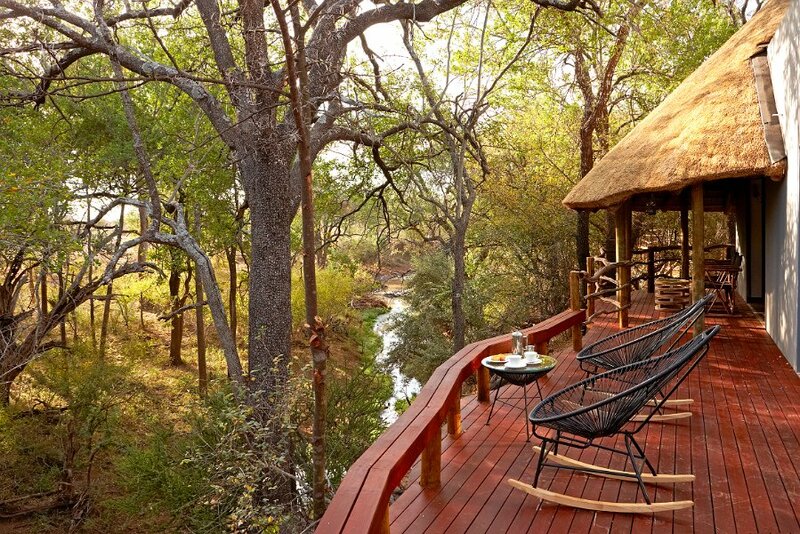 Children are accepted on the morning & afternoon safaris as the suite has a private game viewer. Children are not permitted at Jaci’s Tree Lodge. Please print and use the directions as they appear in this information sheet. It is the traveler’s responsibility to ensure that they have adequate travel insurance for unforeseen cancellations, medical emergencies, etc. Only written cancellations will be accepted. 25% cancellation fee incurred if the booking is cancelled after written confirmation. Should guests require lunch on the day of arrival, please note that this will need to be pre-booked. Lunch is served between 1pm - 2pm.
. Jaci’s Lodges now has filtered water on tap. This water is available to our guests at no charge. We are able to offer our guests the opportunity to rent our photographic equipment for use on their daily safari activities. 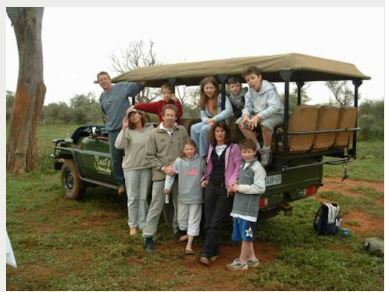 One evening safari, and consecutive morning safari constitutes the duration of one days rental period. The equipment is a DSLR camera body (plus base plate), 100-400 lens, including a complimentary SD card. Gimpro game viewer mount or Monopod (On request and Subject to availability) Our Jaci’s Lodges field guides are photographically minded, ensuring that the game viewers are parked in the best possible location for our guests photographic needs.